Ahmedabad, Aug 18 (IANS) The BJP candidate Balwantsinh Rajput who lost to Congress leader Ahmed Patel in the Gujarat Rajya Sabha polls has challenged the declaration of two votes as invalid by the Election Commission. Rajput, who had quit the Congress to contest the Rajya Sabha polls on a BJP ticket, filed a plea before the Gujarat High Court. Rajput, who was chief whip of the Congress party, was one of the 14 rebel Congress legislators to quit the party before the Rajya Sabha polls. He got 38 votes in the election, while Ahmed Patel of Congress won with 44 votes. BJP chief Amit Shah and Union Minister Smriti Irani got 46 votes each and were the other two winners. 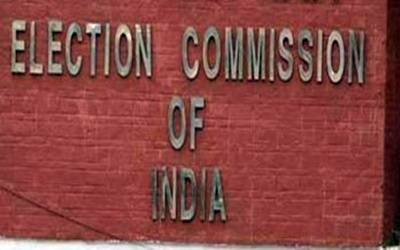 The EC had declared the votes of two rebel Congress legislators late on August 8 night as invalid for violating the poll code, which helped Ahmed Patel win. After six of the 14 Congress rebels resigned as legislators, the effective strength of votes in the 182-seat Gujarat Assembly was reduced to 176. The Rajya Sabha candidates needed 44 first preference votes to win. Ahmed Patel got 43 votes of the Congress legislators who had been herded to a Bengaluru resort to prevent "poaching", and of a JD-U legislator.